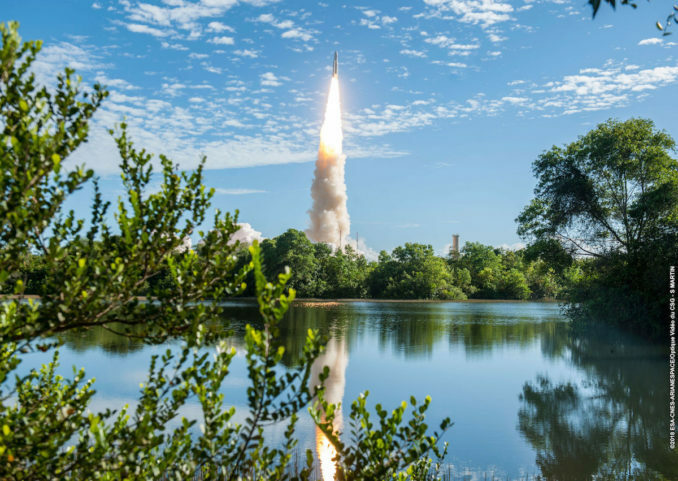 The rare morning Ariane 5 launch occurred at 8:25:01 a.m. French Guiana time Wednesday, July 25 (1125:01 GMT; 7:25:01 a.m. EDT). 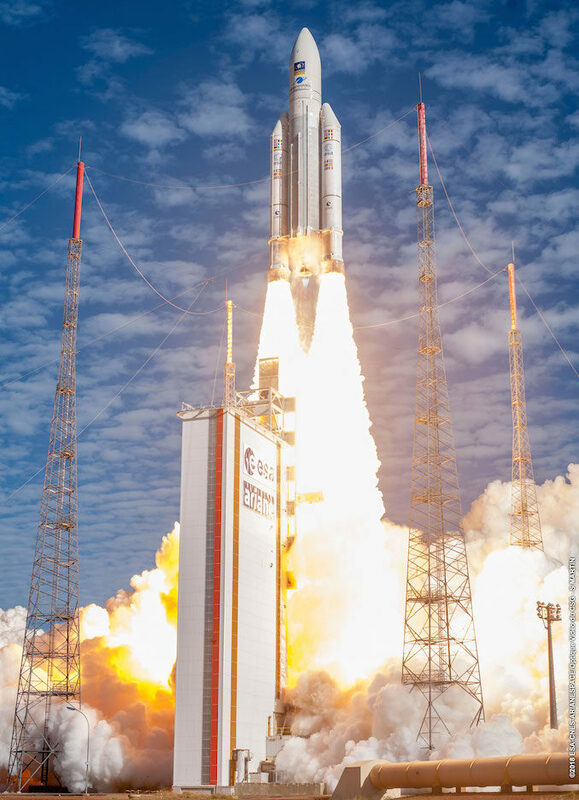 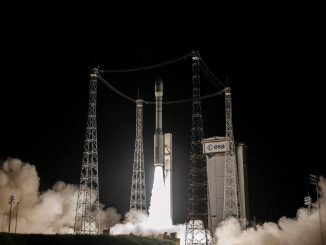 The flight marked the final launch of the Ariane 5 ES configuration, a rarely-used variant of Europe’s workhorse rocket featuring a storable propellant upper stage powered by an Aestus engine. 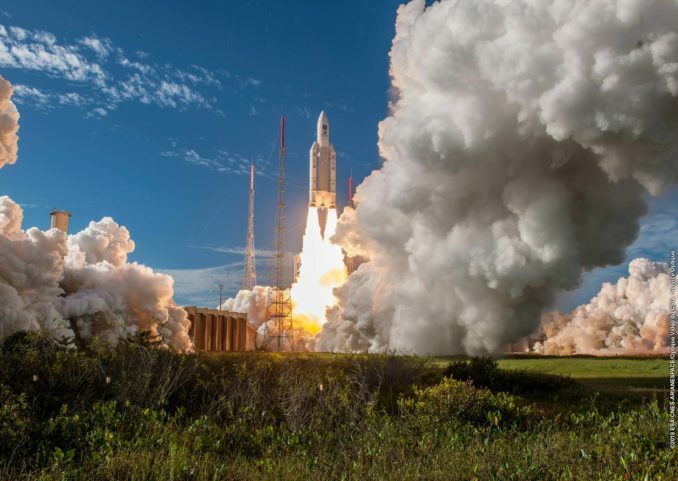 The Ariane 5 ES rocket flew eight times since 2008, boosting the European Space Agency’s five automated supply ships to the International Space Station, and carrying three sets of four Galileo navigation satellites into orbit. 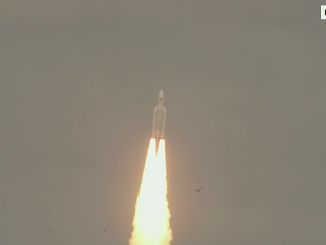 Wednesday’s launch was the 99th flight of an Ariane 5 rocket, and the third Ariane 5 mission this year. 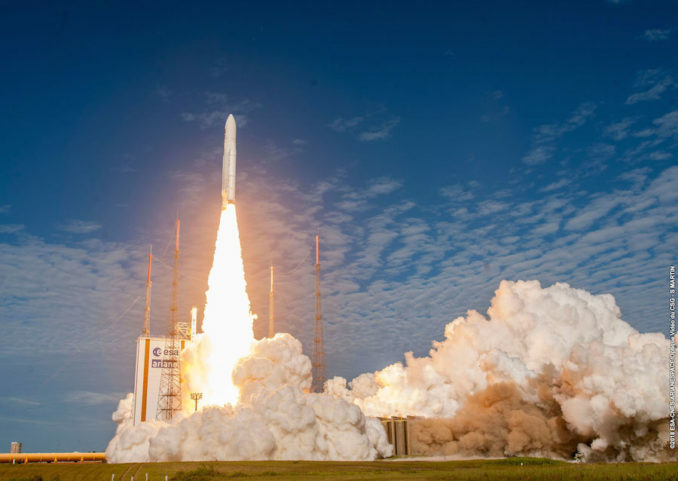 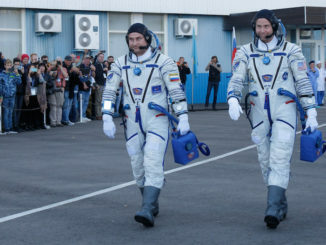 It was also the 298th Arianespace mission since the company’s founding in 1980, a record that includes flights by the Ariane rocket family, plus Arianespace-managed missions by Soyuz and Vega rockets.